David Servan Schreiber is a French psychiatrist who works in the US. In his best-selling book, "The Instinct To Heal", he argues for the need for ‘a new medicine of emotion’ which is – drug free and includes alternative approaches to curing stress, anxiety and depression. Servan-Schreiber is a neuro-scientist and argues that many psychological problems result from the two brains – the limbic (emotional) brain and the neocortex – not working well together. In his books he advances seven different techniques, all supported by scientific evidence, for improving brain function, and how we feel, by tapping into the emotional brain’s self-healing process. He argues that the most important technique we can learn for emotional, and physical, health is ‘heart coherence’. "Heart coherence was first described in 1992 by physicist Dan Winter and was made popular more recently by the Institute of HeartMath based in Boulder Creek, California. 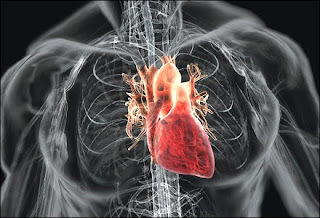 They developed and researched a number of techniques and practical applications of cardiac coherence. Their work has been developed further by others in Europe, such as Dr. Alan Watkins based in London. The practice of heart coherence draws together a number of ancient wisdoms and traditional techniques used in yoga, mindfulness, meditation and relaxation. The first stage consists of turning your attention inwards. To start with, you must set aside your personal concerns for a few minutes. You have to be willing to keep your worries briefly waiting and give your heart and brain the time it takes to recover their balance and intimacy. The best way to go about this is to begin by taking two deep, slow breaths. They will immediately stimulate the parasympathetic system and begin applying a bit of physiological ‘brake’. To maximize their effect, your attention must stay focused on your breath right up until you have finished exhaling and then let your breathing pause for a few seconds before the next in-breath begins of its own accord. The point is to let your mind float with the out-breath right up to the point where it lightens up, becoming mellow and buoyant inside your chest. Eastern meditation practises would suggest concentrating on the breath as long as possible and keeping the mind empty. But to maximize cardiac coherence, it works better to actually centre your attention on the region of your heart 10 to 15 seconds after your breathing stabilizes. At this second stage, imagine that you are breathing through your heart (or the centre of your chest, if you do not yet feel your heart directly). As you continue breathing slowly and deeply (but effortlessly), visualize - and really feel - each inhalation and exhalation passing through that key part of your body. Imagine that each intake of oxygen nourishes your body and exhalation rids it of the waste it no longer needs. Imagine the slow and supple movement of inhalation and exhalation that bathe the body in this purifying and soothing air. Imagine that they are helping your body make the most of the gift of attention and respite it is receiving from you. You might visualize your heart as a child in a bath of lukewarm water where it floats and frolics freely, at its own pace, without constraints or obligations. Like a beloved child at play, you ask her only to be herself. You watch her thriving in her natural element, as you continue to supply gentle and enveloping air. The third stage consists in becoming aware of the sensation of warmth or expansiveness that is developing in your chest, and in fostering and encouraging it with your thoughts and your breath. This feeling is often shy at the beginning and emerges only discreetly. After years of emotional abuse, the heart is often like an animal awaking from long hibernation. First it feels the first warm whiffs of spring air. Numb and uncertain, it opens one eye, then two, and it only springs into action after making certain that the mild weather is not just a chance occurrence. One way to encourage the heart is to draw on a feeling of recognition or gratitude and to let it fill your chest. The heart is particularly sensitive to gratitude, to any feelings of love, whether it be love for another being, an object, or even the idea of a benevolent universe. To many, it is enough to think of the face of a beloved child, or even a pet. To others, a peaceful scene in nature brings on a sensation of inner gratitude. For you, maybe inner gratitude will spring from the memory of a physical feat – the exhilaration of a downhill ski run, the perfect swing of a golf club or the hauling in of a sail as you lean into the wind. During this exercise, people sometimes notice a gentle smile that has risen to their lips, as if it had been spread from the glow inside their chest. That is a simple sign that coherence has been established. Other signs include a sensation of lightness, warmth or expansion in your chest. In a study published by the American Journal of Cardiology, Dr Watkins and researchers from the HeartMath Institute have demonstrated that the very act of recollecting a positive emotion or imagining a pleasurable scene rapidly provokes a transition of heart rate variability towards a phase of coherence. Coherence in heart rhythm affects the emotional brain, fostering stability and signalling that everything is in working order physiologically. The emotional brain reacts to this message by reinforcing coherence in the heart. This interplay creates a ‘virtuous’ circle that, with a little practice, may lead to a state of maximum coherence lasting for 30 minutes or more. Coherence between the heart and the emotional brain stabilizes the automatic nervous system, both sympathetic and parasympathetic. Having reached a state of balance, we are optimally poised to confront any and all contingencies. We simultaneously have access to the wisdom of the emotional brain – its ‘intuition’ – and to the faculties for reflection, abstract reasoning and planning of the cognitive brain. The more training we have in using this technique, the easier is becomes to induce coherence. Once accustomed to this inner state, we become capable of communicating directly, so to speak, with our heart . . . ."
You can learn more about heart coherence in Servan-Schreiber's books or from the HeartMath Institute at http://www.heartmath.com/ . and thanks!! this is such great information with a real ability for each of us to "do" something great for our hearts. WOW, again, "thank you"
Wow - that's a lot to take in, but it's interesting stuff. I took deep, cleansing breaths while reading your post and felt the stiffness leave my neck and back area. We all need to stop and take cleansing breaths. I love this, Bonnie! This goes right along with much of what I've been working on lately. A very real, practica,l guide to helping your heart, which can be used in other ways, I'm sure. I'm ordering this book! Thank you, as always, you share wonderful information in a very generous way. I really resonated with this post. I've been familiar with Heart Math (there's even a pratitioner in town) for some time. I'm definitely one of those people who tend to go out-of-synch this way. Probably related to childhood traumas. Practicing Metta (lovingkindness) meditation has made a huge, huge, improvement for my well being. Teaching kindergarten also keeps me tuned into my "HeartMath" too. Bonnie, you've done it again. Thank you so much for the work and thought you put into these posts. This was really, really interesting - I had heard of HeartMath before but only briefly scanned information about it. But now..! Reading your blog is like having a subscription to a magazine that has all my favourite elements - psychology, health information, visual beauty, and compelling human interest stories. All of it food for the soul. Bravo, Bonnie! Thank you Bonnie, very interesting post. I will certainly be looking more deeply into this. What an incredible service. This is one to put into practice right away. I am back to mention that – I believe you understand French, Bonnie – you can watch David Servan-Schreiber talking about the relation of food and cancer (La santé dans l’assiette) in a clip in this site: http://www.doctissimo.fr/html/sante/reportages-tv/cancer/13341-itw-david-servan-schreiber-alimentation.htm. I know the world through my heart first my brain second. My practice of mindfulness keeps my blood pressure low and I find I smile lots! I was taught in yoga to lead with the heart rather than the head, makes for nice posture. I feel better already! And it does work better in the morning. When I've watched my breath at night, I fall immediately asleep. But this morning, reading your post, I....zzzzzzz.